Hello Darlings, What's a better way to spend a Friday evening if not over delightful food and the magic of entertainment. Now that calls for a great weekend! On a calm Friday evening back in Montreal while FrancoFolies de Montréal festival was taking place, I had the pleasure of enjoying the delightful meal at the trendy Taverne F in Quartier des Spectacles. While living in Montreal one of my favorite restaurants was Ferreira Cafe and every time I am back in the city I look forward to my dinner at the very same spot I loved to visit every other Saturday evening. 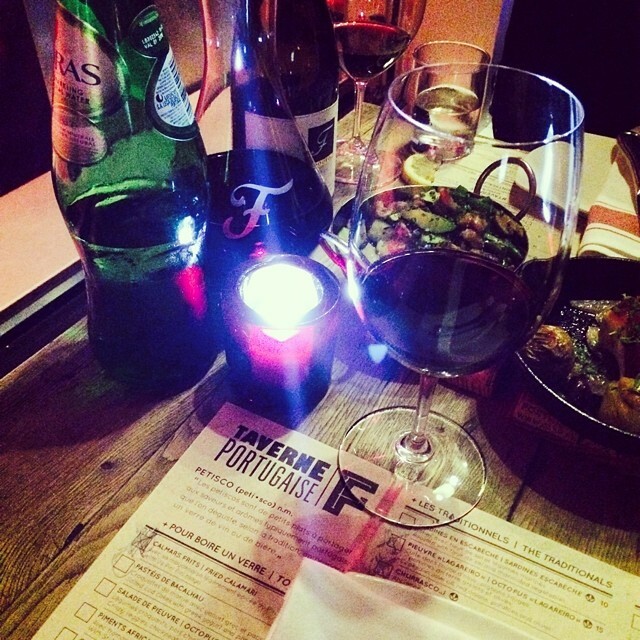 Taverne F is the newest addition to the Ferreira family which is skillful headed by Carlos Ferreira and the family. From the wines directly from Carlos' winery in Portugal to the amazing seafood dishes, every restaurant knows exactly how to please. Taverne F is a chic and casual alternative to Ferreira Cafe. Following the dinner came the amazing entertainment as we headed over to check out the newest Cirque du Soleil show, KURIOS. For those not familiar, Cirque du Soleil is the world's most renowned circus with travelling acts as well as those permanently established in Las Vegas. If you ever have the opportunity to see it, you absolutely must! I promise that it is one choice or show that you would never regret seeing. I've been a huge fan of Cirque for years and have seen numerous of their shows and must admit that this one is my favorite. 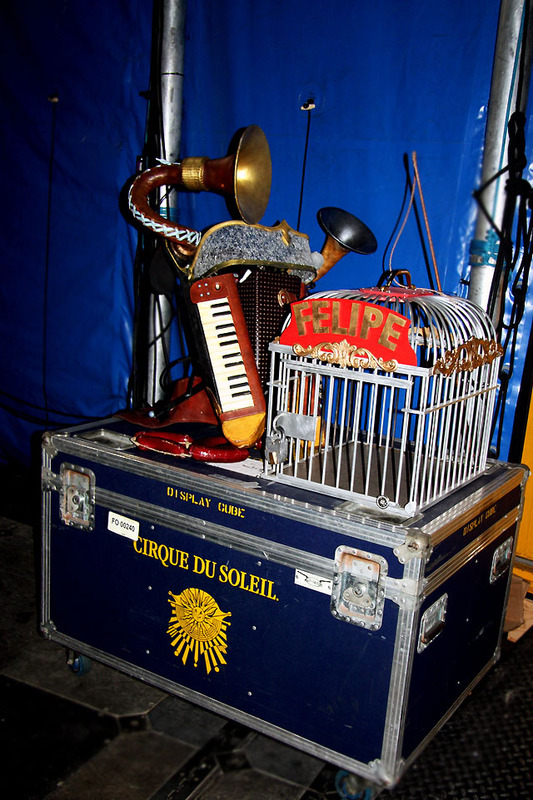 Cirque du Soleil was established in 1984 when Guy Laliberte presented a proposal for a show during the 450th anniversary of Jacques Cartier's arrival in Canada. The show was a striking dramatic mix of the circus art without animals and street performance featuring wild, outrageous costumes, magical lightning and original music. Laliberte succeeded in convincing the government of Quebec that Cirque du Soleil tour would be perfect for the International Youth Year in 1985. Following the Canadian tour, the group tried its luck US and then the rest of the world. Over 30 years ago, the adventure started and KURIOS - Cabinet of Curiosities is Cirque du Soleil's 35th creation and marks a new stage in their vast creative universe. 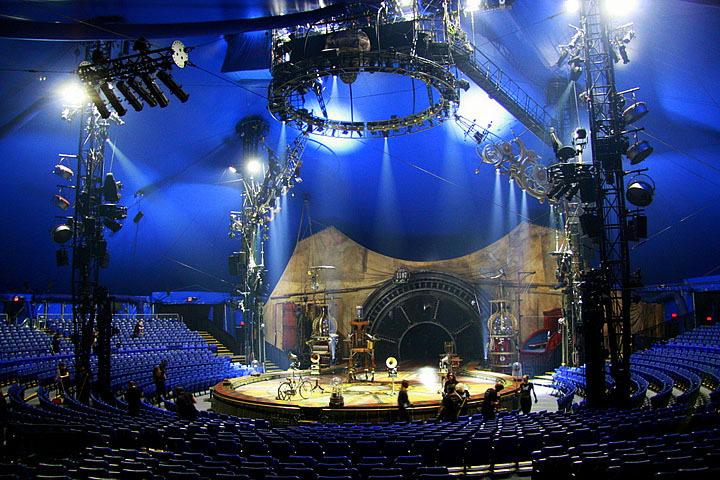 The show is staged by Michel Laprise, the first Director to be a product of the Cirque du Soleil family. Inspired by cabinets of curiosities of Renaissance Europe the show revolves around the concept of curiosity and discovery. The cabinets were encyclopedic collections of typically natural history objects that were placed on displays and were the precursors to museums. The vast and beautiful concept of the KURIOS is difficult to depict in words but in a broad sense it revolves around 11:11! At times when we glace at our watch and the time is precisely 11:11 we wonder if it is a coincidence or twist of fate. KURIOS was designed to follow up to these moment and celebrate the curiosity. And in the words of Cirque du Soleil, " To our audiences from all over this beautiful planet: Our wish is that you think of KURIOS every time you see 11:11 appear on a clock. At that precise moment, you will know that you too live in a wonderful cabinet of curiosities." I cannot gush enough over love for this beautiful concept that is now known worldwide as Cirque du Soleil. I must admit, the Canadian in me is throwing around high fives! Aside from seeing the show, I had the great pleasure of glancing behind the scenes with a tour of the grounds and backstage as well as an opportunity to chat with a few of the performers. It was incredible to observe the detail and planning that goes into making the show come alive along with the dedication that comes from each performer.